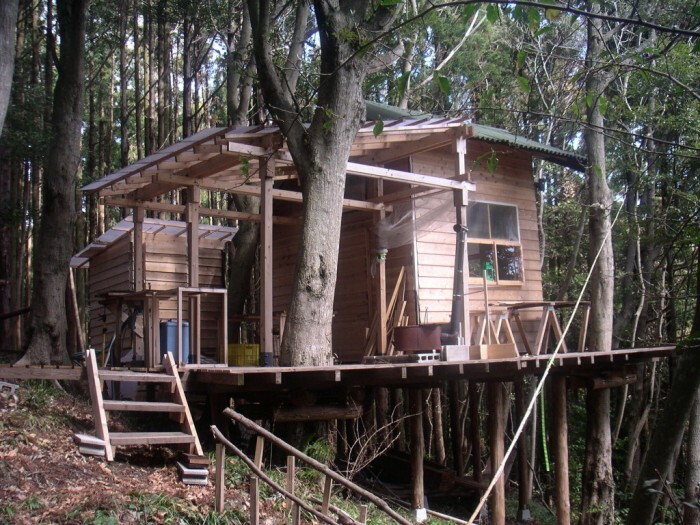 There is no one who hasn’t dreamed of staying in a treehouse at some point in their lives. These dreams were often born in childhood as we pored over tales of Rivendell in Middle Earth or followed the adventures of Robinson Crusoe. There were only two types of kids at school: the ones who had treehouses and the ones who wanted treehouses, but these aspirations seem to fade in adulthood. This can be attributed in part to the tourism industry that has been keeping us focused on beach resorts, plush hotels and WiFi facilities but also to the growing pressures of modern day life making us forget about the beauty of nature that is there for us all to enjoy. Fortunately some individuals weren’t so quick to jump on the hotel bandwagon and they have created some magical destinations for their guests. Humanity is becoming increasingly aware of the impact that we are having on the world and there is a global desire to reverse this damage and to reconnect with the natural world, which is all that our inner child ever really wanted. Now we have the opportunity to address both of those desires because these resorts have a focus on sustainability and responsible vacations, so now we can pander to our childhood dreams and take a step towards reducing our negative impact on the planet in one great holiday. The world has been getting steadily smaller and more accessible over the last four decades, and that has resulted in a lot of us looking for special and unusual ways to spend our treasured time away from the pressures of home and work. It is time for us all to become the kid that had the treehouse, and we can now experience it in a multitude of exotic and unusual destinations all over the world in what has become a growing and very welcome trend. 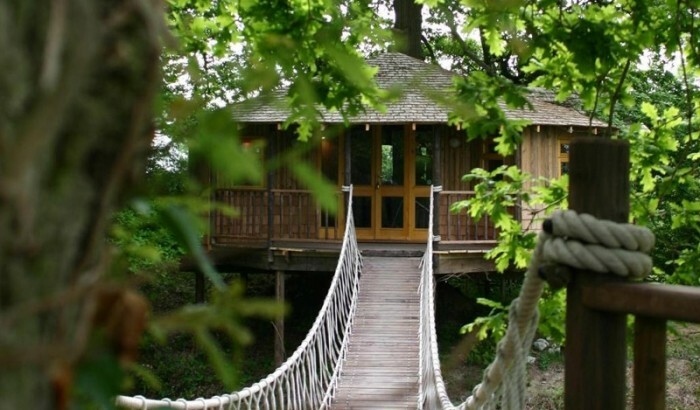 Here are some of the best examples of eco-friendly treehouse hotels in the world to whet the imagination of even the most mature and sensible adults. 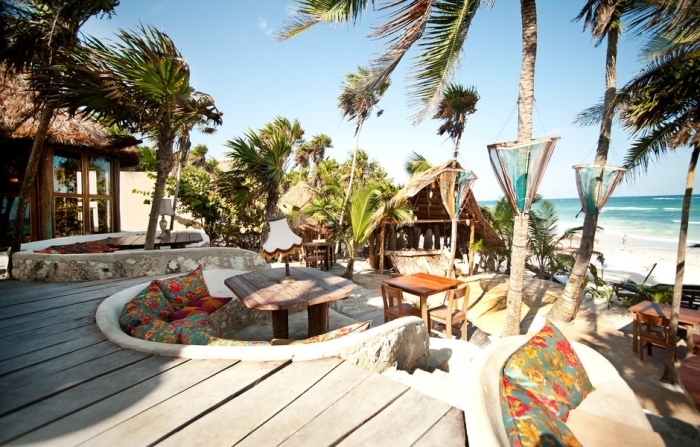 In this magical paradise you will find a heady mix of luxury, community, creativity, extravagance and simplicity. If the word treehouse conjures images of nailed-up boards, dusty corners and rickety ladders, then think again. There is a choice of having a simple room or an entire house and there are several of them dotted along the Caribbean coast, all built using the natural resources of the surrounding forest and using traditional methods of house building. The architects have managed to interlace natural rural charm with cool urban sophistication, and there will be no hint of roughing it during your stay. You will find hammocks hanging hidden from view, private pools and bedrooms that are open to the ocean views. The resort also has all the facilities that you would find in more typical destinations too: there’s a beach club, restaurant, spa and regular entertainment. The really special thing about this project is that they have already achieved their aim to be 100% self-sufficient and with zero emissions, and they aim to inform and educate their guests while working in complete partnership with the local community. That is an incredible achievement for a place offering such high standards of luxury. This will not be a budget holiday by any means, but it will be one that guarantees every penny spent has a positive impact on the future of the planet and a positive impact on your emotional well-being. The Lodge is a collection of five houses set in ten acres of land on the coast of Costa Rica. Each house offers complete privacy and luxury accommodation despite being built entirely from locally sourced fallen trees and using traditional building methods. The owner and his partner and their two dogs live in their own house on the site and are joined by a few staff members during the day, but other than this it is discreet and secluded. There is a warning on the website that you may have to share your space with the monkeys and iguanas who occupied the space originally, but this doesn’t seem to be too high a price to pay. There is no bar or restaurant on site but, despite the wonderful feeling of seclusion, you aren’t more than a short walk from shops and bars. This is a great retreat for adventurous souls too, as the resort offers packages of snorkeling, surfing and even white water rafting. Since 1998 this innovative and small organization’s primary concern was to have minimal impact on the stunning environment in which they are based with a focus on recycling, self-sustainability, social awareness and education. The fact that they have achieved this while still providing a feeling of opulence and indulgence is testament to their vision of a better world. 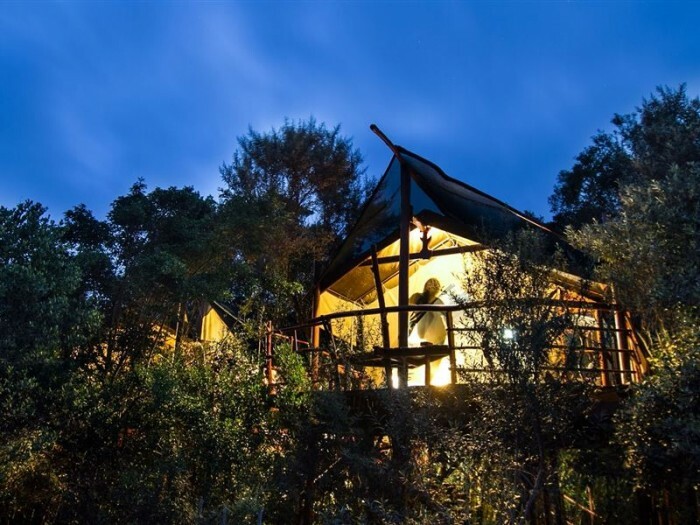 The Teniqua Treetops resort can be found in the astounding landscape of Knysna Forest in Cape Province of South Africa. Built from scratch by the innovative couple that dreamed of the concept back in 2002, it now offers a selection of eight treehouses, all sympathetically constructed to have minimal impact on the environment and all unique in their layout to maximize the views from the lofty verandas. Each one has a sunken outdoor bath that allows you to commune with nature while being completely shielded from view, unless you don’t mind being watched by the plethora of wildlife that shares the forest with you. They have also developed some enticing guest facilities, such as a games room, a pool and a heated Jacuzzi. 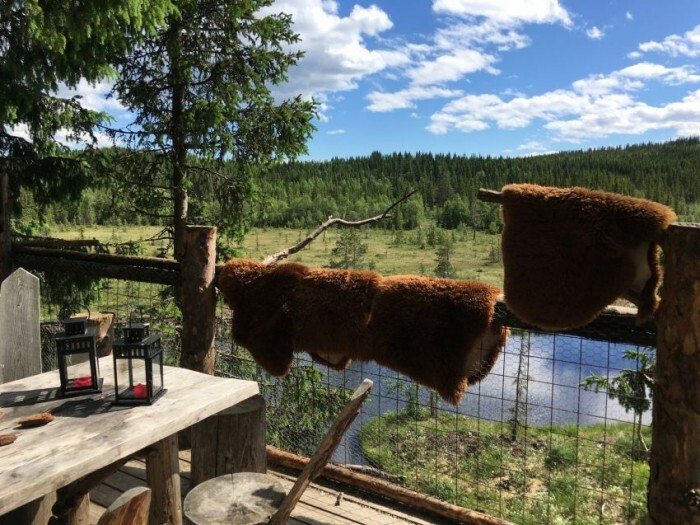 There is a great section on the website called ‘don’t visit us if…’ which really spells out what you can expect at this unique resort. It warns you that this is one of the few areas of untouched forest in the area and that preserving it is the priority, which means that it can’t be sanitised and that there will be indigenous flora and fauna that you need to share with. It makes it clear that if shopping and mall culture is what you want then you probably won’t enjoy a stay here, which makes it sound pretty perfect to me. The luxury of this getaway is in its authenticity and coexistence with nature, and the facilities are more than sufficient to make this feel like a lavish five-star break. 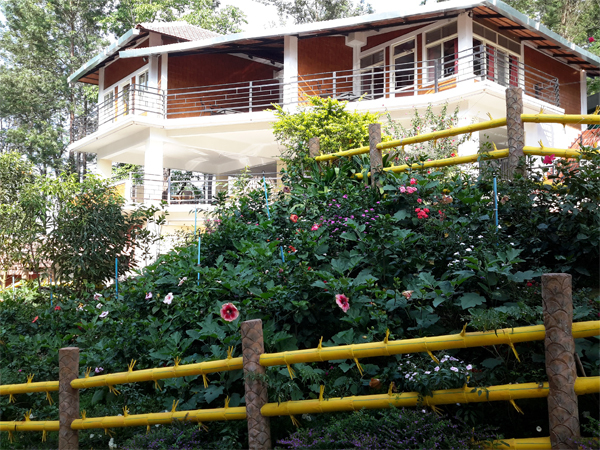 1,000 meters above sea level in 130 acres of dense forest and plantation land you will find the Eagle Eye Holiday Resort. This is a paradise for eco tourists from the accommodation to the astounding natural beauty of the surrounding landscape. 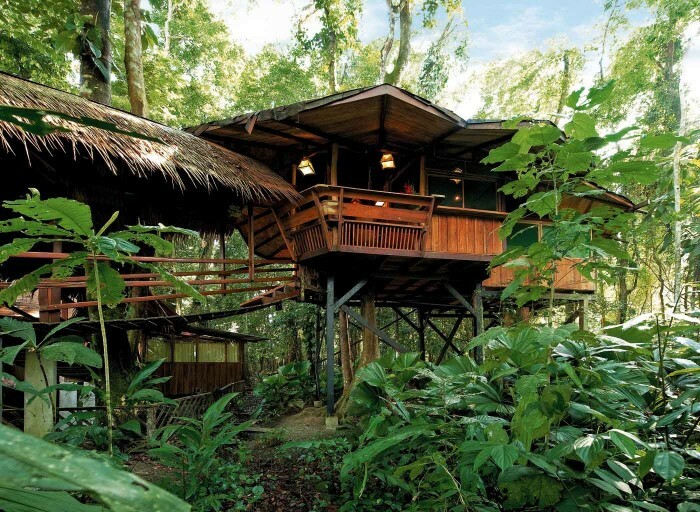 There are various lodgings to choose from, all elevated with incredible views of the valley and each with their own unique features, including waterfalls running through the bedrooms, indoor pools and a private skywalk through the canopy, and the main treehouse has 750 square feet of luxury and seclusion. The surrounding area gives access to animals such as sambar, tigers, peacocks and boars, there are plantations of coffee, spices and fruits and there are rivers, mountains, orchards and forests all to discover during your stay. On site there is a restaurant that makes full use of the local produce and other facilities include a games room and a swimming pool that has a rain curtain, a bar, jets and wave simulation. The number of spa, beauty and rejuvenation therapies on offer will feel all the more special for the location in which they are done too. If you want to take full advantage of the environment, there are guided tours and adventure days including rock climbing, river swimming, boating, trekking, yoga and wildlife watching. There is also the option of visiting the surrounding landmarks with temples, caves and a lion sanctuary all within visiting distance. This is a magical part of the world offering enchanting accommodation and a range of activities that most people won’t experience in a lifetime. This is a great opportunity to visit India and really connect with the spirit of this fascinating country. In the southeast of this vast country is an area defined by its ancient rainforests set in the highlands outside Cairns in Queensland. Australia’s flora and fauna is legendary and known to be unlike anything that you will see in the rest of the world. A recent survey has indicated that the area in which you will find Canopy Treehouses produces up to seven times as much fruit and foliage than any other in the area. This makes it a haven for the local animal population and you will find an abundance of possums, tree kangaroos, cassowaries, parrots, catbirds and finches, and many of them will be expecting you to welcome them onto your balcony. These are all creatures that you absolutely will not find anywhere else on the planet. The resort itself has been designed to blend seamlessly into the landscape and is set in 100 acres of this unique environment. There are several dwellings to choose from, all with two bedrooms, fully fitted kitchen, spa bathroom and a balcony with BBQ and hammock as standard. There will be no scrimping on luxury during your stay here. The area boasts natural volcanic lakes, waterfalls, nature trails and forests. If you’re looking for some adventure, you can enjoy hot air ballooning, barramundi fishing and guided treks. When you’ve tired yourself out, the resort offers spa treatments and massages available upon request. This is an incredible opportunity to experience a different side to Australia that is often missed and it is perfect for the seasoned ecotourist. The Tree Top Huts in Norway provide a completely unmatched experience and are perfect for the adventurous nature lover. The project was started by a local husband and wife team in 2006 with just one hut suspended above the Veldre Almenning forest and this winter wonderland is now home to six unique dwellings and even includes one with ramp access for anyone with mobility issues or a buggy to use. The huts themselves are suspended at least nine meters above the forest floor and have been built to take full advantage of the surrounding vistas. There are bedrooms, kitchens, bathrooms, and they all come equipped with all the comforts of home with some important additions, such as camping equipment, canoes and life jackets for the adventures that you may want to go on. The balconies are all equipped with bird and wildlife feeders, and each cabin is stocked with the appropriate food for them too. You will usually find squirrels and birds are taking their breakfast with you each morning. One of them has a glass roof so that you can see the astounding night sky from the warmth and comfort of your cabin. Make sure you have come prepared for some challenging weather, as you won’t want to stay indoors during this vacation and the activities on offer on your doorstep include dog sledding, igloo building, horse sleighing, canoeing, snowshoe treks, berry picking, skiing and, for the very brave, swimming in the natural pools and lakes that surround each of the cabins. There is little chance of getting a tan while you are staying in this magical retreat, but you will leave with memories that will last a lifetime. Two hours’ drive from Tokyo in the south of the Chiba region you will find this incredible eco village that was established back in 1998. It is a popular weekend destination for the residents of Tokyo and could be a fantastic excursion for tourists visiting Japan who wouldn’t want to spend the entire length of their stay here. Set in an enchanted forest and just a short distance from the coast, this is a fascinating place with a focus on survival skills, sustainability, protecting the environment and having fun rather than opulent luxury and facilities. The entire project is powered by solar and wind generators and uses compost toilets, recycled rainwater and fires for cooking. During your stay you can choose one of two courses to take part in during which you will actually learn how to make treehouses using traditional Japanese methods, and there is the chance to gain skills in rope work, foraging, paddy field engineering and building fires. The practical skills are only part of the course though, as there is a real focus on philosophy and respecting the forests and you will leave with a new understanding of the natural world around you. There is plenty of down time on offer too and during this time you can use the site’s mountain bikes to go exploring, do some yoga in the forest or just go searching the forest for food that you learned about during the course. The treehouses are very basic; in harmony with nature they are cool in winter and warm in summer but guests need to bring sleeping bags and either sleep on the floor or choose one of several hammocks that are hung indoors and outdoors all over the resort. Don’t despair though, as there are hot solar-powered showers and electrical points for you to recharge phones and iPads should you feel the need to while you are there. This may be a destination for the dedicated eco tourist, but with short stays available it really is an opportunity to reconnect in a totally immersive experience that shouldn’t be missed. There we have it: just a small selection of the treehouse hotels on offer globally. There is everything available, from opulent luxury to basic forest philosophy, and I hope that this has inspired you to consider something a little different for your next vacation. P.S. 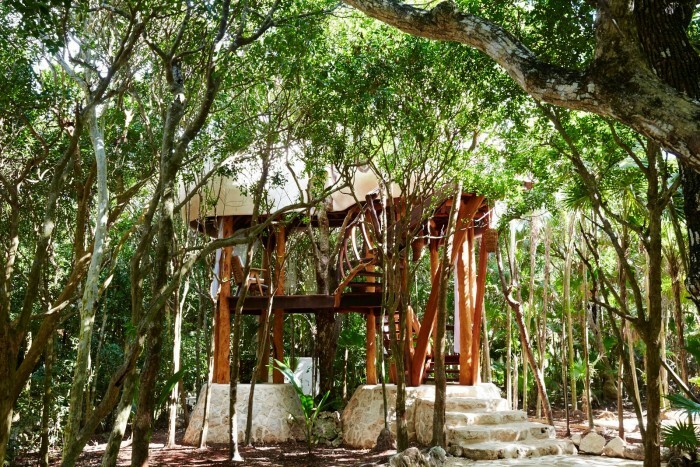 Have you ever stayed in a treehouse?